The claim is one of the central ideas in a new book by Dr. Rachel O'Neill, Research Fellow in Sociology at the University of York. The book goes behind the scenes of the seduction training industry, exposing how it operates and why it appeals to so many men. Nearly four years on from when Julien Blanc—the American "pickup artist" accused of promoting sexual assault -was barred from entering the UK, the lucrative industry still enjoys an immense reach. YouTube videos by pickup artists rack up millions of global views and the mailing lists for many companies reach the tens or even hundreds of thousands. Rachel O'Neill's book, which is based on extensive research following both participants and pickup artists in London's seduction "community", found that many UK men are investing significant amounts of time and money in seduction seminars, coaching, instructional guidebooks and video tutorials. Rather than stereotypical "losers" who struggle to have relationships with women, the men who participate in the industry are entirely ordinary with a range of relationship histories. These men are encouraged to take back control of their intimate lives by learning how to market themselves to women using pre-planned scripts. This has the knock on effect that they see intimacy as a kind of skill, which when implemented properly will achieve the desired results. Dr. Rachel O'Neill said: "The industry severely limits how men and women can relate to each other with scripts for "seduction" based on tired gender stereotypes and the idea that all women and all men want the same things." "Men are encouraged to view the pursuit of romantic relations as work, where there are set methods and ways to present themselves that will achieve a "pay-out". The actual perspectives and experiences of the women they encounter are rarely discussed during training sessions." According to the book, many men are drawn into the industry because of the promise that it will help them to gain greater control in their intimate lives. Becoming skilled with women is also seen by some as a means to redress perceived imbalances in gender relations, which they believe to have been caused by feminism. However, the research also suggests that many men enter into the industry because it offers a sense of fraternity and brotherhood. Dr. O'Neill said: "Many of the participants I interviewed during the course of the study felt that they had no one to talk to about their struggles with relationships. So the seduction industry offers them an outlet for that, but at a price. The desire for many men to be "good with women" is often underpinned by a desire to be accepted by men, as within wider society sexual experience functions as a marker of masculinity." While the industry is often deeply sexist and misogynistic, it also exploits men, especially those experiencing mental health problems or other forms of social isolation. "During the course of my research I encountered numerous individuals who were struggling with issues such as anxiety and depression. Trainers in the industry are well aware of that some men come to them in desperation, and in interviews some admitted that they aren't equipped to deal with these kinds of problems," Dr. O'Neill added. "Students with these kinds of issues were either rushed through the course as quickly as possible or sent home with the promise of a refund when their behaviour was too problematic." 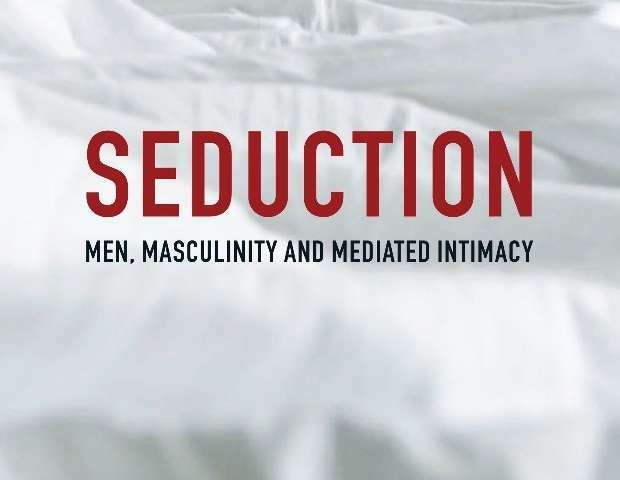 More information: Seduction: Men, Masculinity and Mediated Intimacy by Dr Rachel O'Neill is published by Polity Books on 25 May 2018.